The presenter will be taking up a role with Cork’s Red FM. 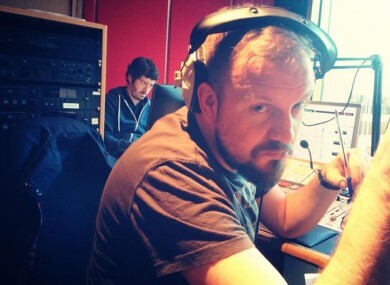 RADIO HOST KC has announced he will be leaving the Today FM lunchtime slot to return to his home in Cork. The presenter – real name Keith Cunningham – cited family reasons for the move, whch will see him return to the station he spent eight years with until 2010. I’ve been commuting from my home in Cork to Dublin every week for over three years now and being away from my two baby daughters and my fiancée Rachel so much, was getting far too difficult. I’m leaving my dream gig for my dream family, I think most people would do the same. He will take up a “new radio presenter and management role” in Red FM from April, as well as being a “professional Daddy”. Today FM’s CEO Peter McPartlin said KC had made a “fantastic contribution” to the station during his time there. “We will miss his enthusiasm, generosity, talent and infectious personality,” McPartlin said. Email “KC leaves Today FM lunchtime show for 'family reasons'”. Feedback on “KC leaves Today FM lunchtime show for 'family reasons'”.